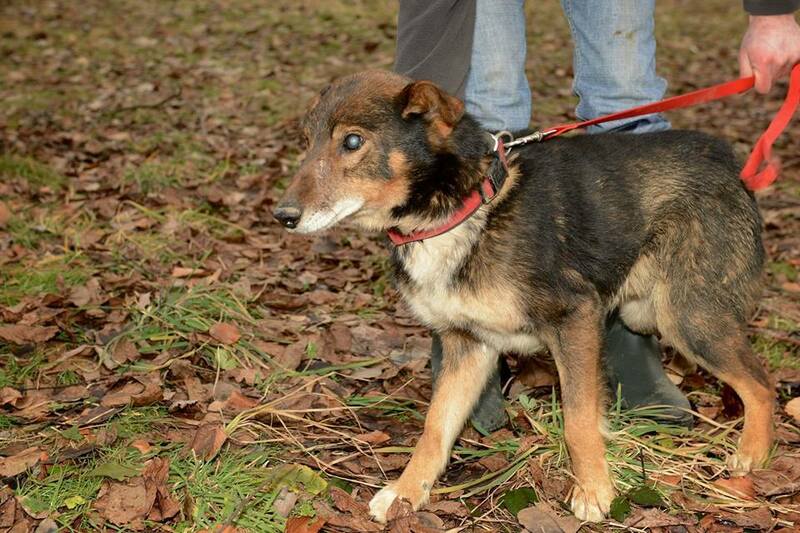 Elmo was found last week on a cold night in Bosnia. 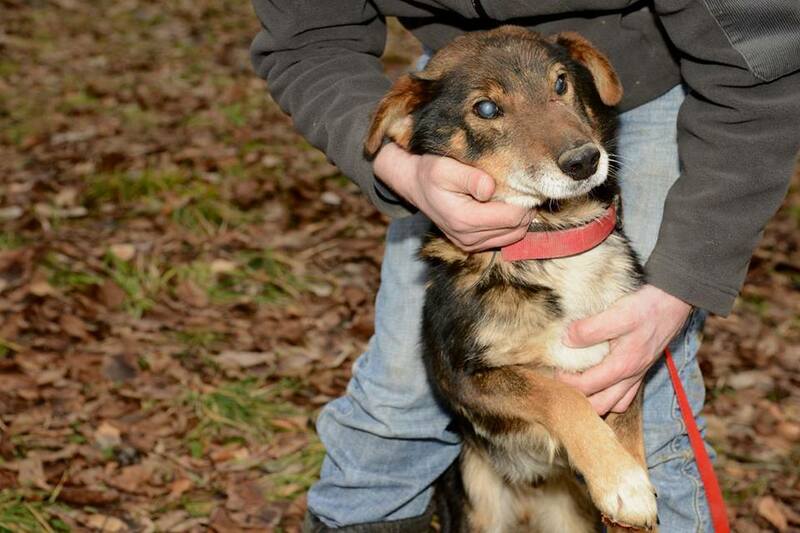 A rescuer was driving to his shelter, and he saw something flash in the woods. He stopped, and his headlights caught a pair of eyes belonging to an animal. 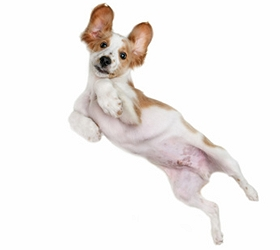 On closer inspection he saw it was a dog, he was just lying there, not moving and was completely lost and disoriented – someone had obviously recently dumped him. He was taken immediately to their shelter, and they named him Elmo. 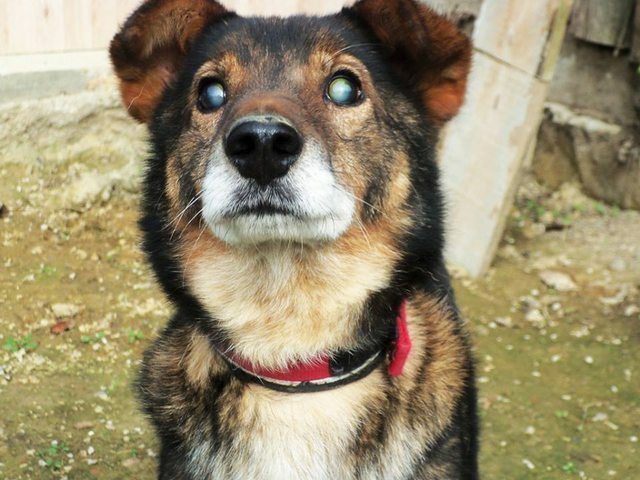 He is an old boy, who is completely blind but friendly and thankful to the people who saved him from freezing to death.